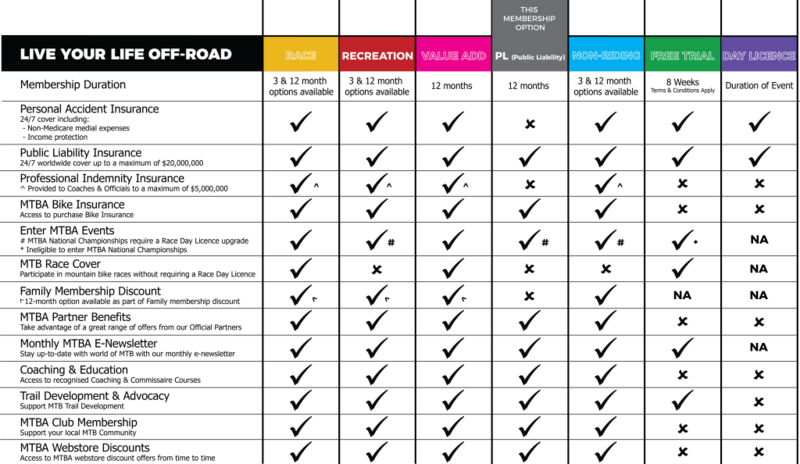 An ideal membership for the social rider who already holds a suitable level of private health insurance through another provider. Receive 24/7 Public Liability insurance cover whenever you are riding recreationally and on any type of bike. If you decide you want to race, we’ll upgrade your membership at any time, you only have to pay the difference (pro-rata)! 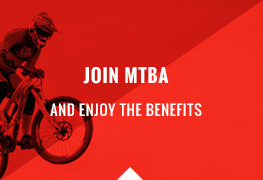 You can sign-up to an MTBA PL Membership with or without joining a club. * Prices may vary depending on fees charged by your club. Public Liability Insurance – 24/7 world wide cover whenever you’re on your bike (excludes racing*) up to a maximum of $20,000,000. 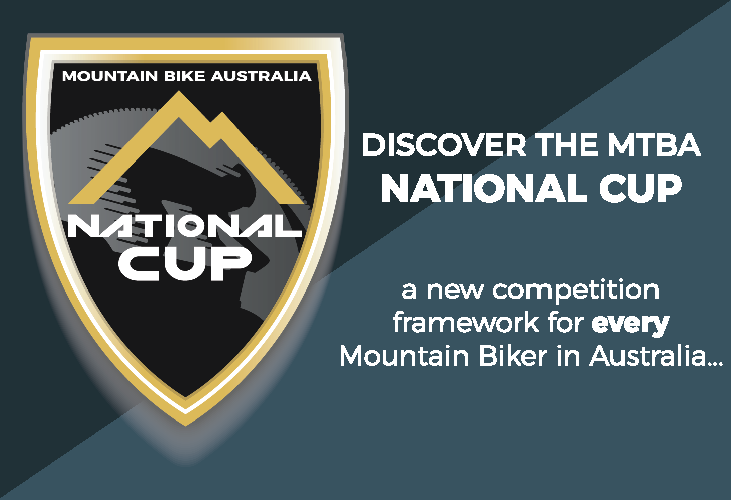 Participate in any MTB Recreation event in Australia – Recreation members are insured to race in all recreation/social mountain bike events nationwide, regardless of whether it is a MTBA sanctioned event or not. Access to discounted Race Day Licences for participation in MTB Race Events. Rolling licences – Enjoy the full benefit of your or 12-month membership, valid from the date of purchase. Renew your membership before it expires and it will commence from the current expiry date – never lose out for being ahead of the game! 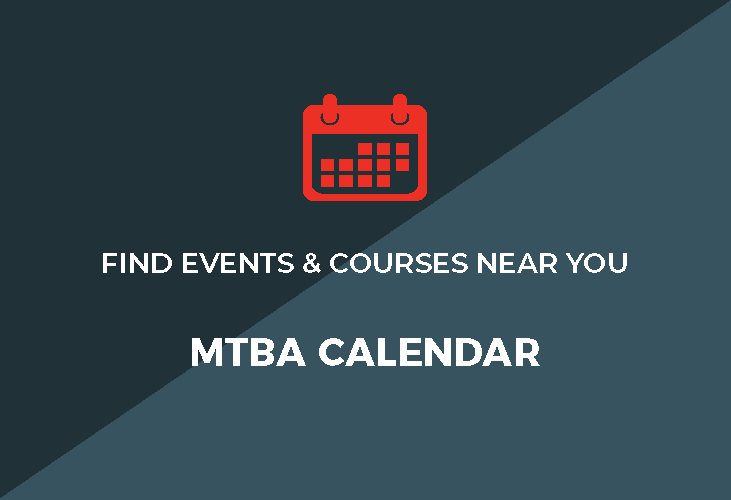 Skill, Coach & Commissaire Courses – Only MTBA members have access to Nationally Accredited Coaching and Commissaire (Officiating) courses. Access to legal support through Maurice Blackburn Lawyers. Access to MTBA Partner Benefits. Be a part of the National body for mountain biking – MTBA is a member run organisation and your financial membership provides you the ability to make a difference in the sport of mountain biking. *Racing is defined as any event which includes one or more of the following elements: timing, placings, prizes and/or awards.